This cute and funny Happy Birthday card will brighten up your cousin's day! 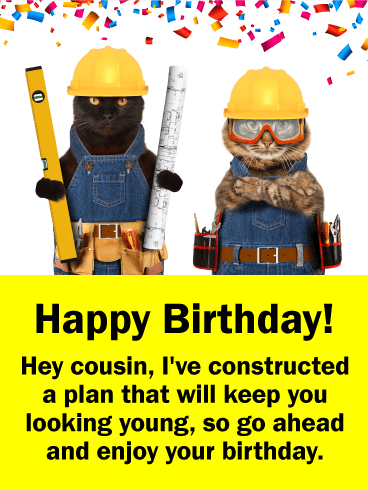 Just in case your cousin is worried about looking older on his or her birthday, there is now no need for concern because a plan has been constructed to keep him or her looking young. These cats are on top of it! The birthday celebration confetti adds a festive element to this birthday card and will certainly put a smile on your cousin's face. For generations, Americans have used hard work and dedication to rise above bad situations and make the best lives they can. 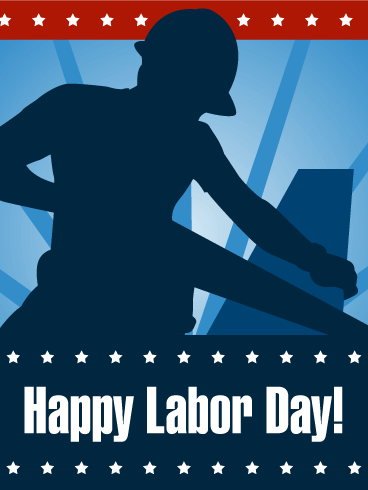 This Labor Day, celebrate the American Dream and the life it offers by sending this Labor Day card to your loved ones! Use this occasion to honor the labor, sweat, and tears paid by the generations who came before. Send this card to remind your friends and family of the reason behind this holiday today!